It’s been a while since I’ve read any Henry James though, like many readers, I did a few years ago read Colm Toibin‘s The master and David Lodge‘s Author Author. I was pleased, therefore, to see James pop up as Library of America‘s author last week. The story is “Paste” and it is a bit of a riff on Guy de Maupassant‘s story “The necklace”, which I first read way back in my teens. According to LOA’s introductory notes James met Maupassant several times, “and read his work avidly, but with mixed feelings”. James apparently described Maupassant’s Bel-Ami “as brilliant … [it] shows that the gifted and lascivious Guy can write a novel … [it] strikes me as a history of a Cad, by a Cad – of genius!” This brings us to “Paste” which James acknowledged was inspired by “The necklace” and which contains a character Mrs Guy who is lively but of somewhat worldly ethics. A back-handed tribute, perhaps, LOA suggests. The plot revolves around a young woman, the governess Charlotte, whose aunt, the wife of a vicar, has recently died. Charlotte’s cousin Arthur, the stepson, offers her the aunt’s jewellery, which he readily admits is rather gaudy and cheap, belonging as they apparently did to the aunt’s previous life as an actress. Offhandedly, he says to her that if they’re worth anything, “why, you’re only the more welcome to them”. His sensibilities are clearly perturbed by the idea that his stepmother kept these “trappings of a ruder age” and become moreso when Charlotte questions whether the pearls may, in fact, be real. For Arthur that would be a double whammy – first that his stepmum might have been the sort of woman who had been given something of such value, and secondly that she’d then kept them, hidden away, after her marriage. No, they are definitely not real, says Arthur, with his apparently “nice” sensibility (though in the first paragraph we are told that his face contains “the intention …. rather than the expression, of feeling something or other”). I won’t tell you what Charlotte decides, and how the story pans out, because you can read it via the link below. But, I do like the way James has taken, and made more morally and psychologically complex, Maupassant’s original story. Like Maupassant’s story, there are issues of class – Charlotte is a governess, and therefore not rich, just like Maupassant’s heroine – and there is the question of “doing the right thing” versus keeping quiet. James though has added a few twists so that, by the end, while we know what Charlotte’s decision was, some questions are left hanging regarding what the ambiguous Arthur and worldly Mrs Guy did, and how this might impact Charlotte’s own future moral development. The result is something more layered than Maupassant’s somewhat melodramatic story … though both are still, I would say, the real thing! Lovely, stirring story. And Mrs. Guy, such a sharp one! I only half-guessed the outcome. I haven’t really read a lot of Henry James though I did for some reason buy The Master and thought it began with such a punch – the failure of his theatre piece. It was a really involving book. Must order some Guy de Maupassant too. Yes, me too … I loved some of the imagery in it too. Mrs Guy is one of those survivors isn’t she? Author Author which came out pretty well the same year, if not the same year, also starts with the failed theatre piece. Both were interesting reads though I recollect liking The master slightly more. You probably would Guy … it’s well told. I’m interested in A man of parts. The question will be getting to it. You? Did you read The master? I liked both books, but I seem to recollect a slight preference for the Toibin over the Lodge – perhaps because of the greater intensity? Hard call though as both were fascinating and well written. I haven’t read The Master yet, and I plan to get to A Man of Parts in 2012. Can’t see it happening this year. This year is fast running out in terms of reading plans … I always look forward to January as I (usually) seem to manage to read lots then. Henry James suffers from neglect among his countrymen, I’m afraid. People read him in school and never again. His psychological realism, his fluid prose keep me coming back for more. That’s a shame, I agree, Fay … though I must say I haven’t read as much James as I would like to. In fact, I’ve only read Portrait of a Lady and Princess Casamassima. I could not read The ambassadors when I tried. I think I’d like to read What Maisie knew next. I guess I could download that onto my Kindle, along with the other classics waiting to be read! What are your favourites. 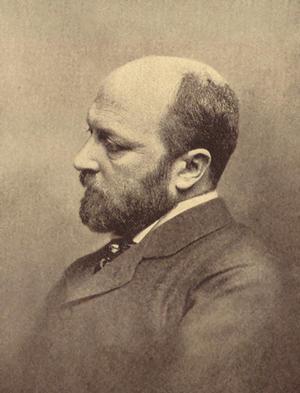 I am currently in a state of disillusionment with Mr. Henry James. This summer I attempted to read What Maisie Knew and found that I simply could not follow it… could not stay with it, and for me to abandon a book halfway through is a really rare event. I always wonder if the fault lies in me, when this happens, and in this case I’m sure it does. Interestingly enough, I became interested in James after reading the very book you mention by Colm Toibin, The Master. I immensely enjoyed Toibin’s book, and vowed to delve into Jamesian fiction. So far, I am nonplussed. Maybe I should try some of his shorter stories. Ah Cipriano, thanks for joining the conversation. Your reaction to What Maisie knew (the one I want to try next) sounds like mine to The ambassadors way back when. A couple of years after that debacle I read Princess Casamassima and then a decade or so after that Portrait of a lady. Try those … or The Bostonians. But, if you don’t have the time right now (! ), read “Paste”. It should give you confidence to set forth again on your Jamesian quest! Love Henry James. Have not read this story. Will have to make time for it over my Thanksgiving holiday! If you like James, Stefanie, I reckon you’ll like this. Happy thanks giving btw. I have fond memories of American thanksgivings. Thanks! It’s just me and my husband, our “traditional” vegan enchiladas and pumpkin pie, a quiet day, and phone calls to family. No shopping plans or errands to run or rushing about. It is good to pause now and then 🙂 I’ll raise a glass of sparkling apple cider to you! Sounds nice … and I’m lunching today which will be late on your Thanksgiving so I’ll raise a glass of something a little more alcoholic to you (if you don’t mind! ).